Each year, as part of the sixth grade curriculum, our students attend a week at Outdoor School. Click on the link for the medical form from for when your child will attend outdoor school and submit by Friday, February 22, 2019. Click here for the link to the Cheetah Team medical form due Feb. 22,2019. When you enter the page, you will be prompted to enter your name, your child’s name, and your email address. Once that information is submitted, then you can begin the medical form. Fill out the entire form. Again, for teacher, please put their advisory teacher. You must click submit when the form is completed. This pays for food, lodging, transportation, and medical insurance. 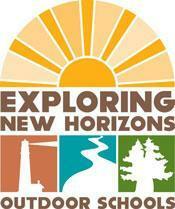 This also pays for the professional naturalists from the Exploring New Horizons program. Contact advisory teacher with questions (fundraiser credit will be applied to the 2nd or 3rd payment) Teachers will send home reminder letters as each date approaches. Payment forms can be cash, check or credit card. Creekside recognizes that some families may not be able to donate the entire amount towards the cost of this trip. If this is in fact the case, contact Ms. Eagles or Ms. Fuentes in the Counseling department for assistance. Arrive at school on Monday between 8:30 a.m. and 8:45 a.m. and check in with your advisory teacher in MPR. Place medicine in a zip lock baggie, labeled with your first and last name and advisory teacher’s name. Arrange for a ride home on Friday!! We should be back at Creekside around 1 pm. Make arrangements ahead of time. If both parents work, make arrangements with a friend or neighbor. The students will be tired and will not want to wait around until 3 to take the bus. Also, we will need parents to help unload the baggage bus, if you are willing and able. Each year, as part of the sixth grade curriculum, our students may attend a week at Outdoor School. What do students learn there? They learn about the environment by studying three ecosystems. They practice their decision-making skills. They participate in cooperative learning.